High Risk LifeI nsurance Agency can assist you with Life Insurance Approval with Intestinal Bypass! Having trouble finding affordable life insurance if you had an Intestinal Bypass? Can I Qualify for Life Insurance if I had an Intestinal Bypass? Yes, most individuals who had an Intestinal Bypass will be able to qualify for traditional life insurance, the type of insurance which requires a medical exam. 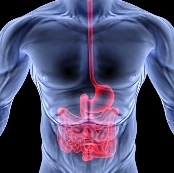 Best Case Scenario – If Intestinal Bypass is done early during the course of the stomach problem or condition of obesity and symptoms of fluid and electrolyte imbalance and intestinal flu syndromes are controlled, most cases have a “Mild Substandard” rating. But, complications such as liver disease must also be ruled out. Click here for quote at “Mild Substandard”. Moderate Case – Those with moderate complications such as renal calculi or cholesterol gallstones, but whose symptoms are mostly controlled may still qualify for a “Medium Substandard” health class. Click here for a quote at “Medium Substandard”. How many years have passed since your Intestinal Bypass? Intestinal Bypass is an elective procedure and if 5 to 10 years have passed already, and there are no serious complications noted such as liver or kidney problem, then you may qualify for the best rating at “Mild Substandard”. Have you experienced any intestinal flu symptoms within the last six months? Symptoms such as abdominal distention, severe diarrhea or fatty stools may be flare signs of a progressing complication. These symptoms may cause a “Medium Substandard” rating or even a decline. Do you have regular check-ups with your Gastrointestinal Surgeon? Regular visits to your gastrointestinal surgeon is very important because he will be the best person to give the most accurate evaluation of your condition and whether you qualify for a “Mild Substandard” or “Medium Substandard” rating. Recent diagnostic tests such as CT scan or MRI are the best ways to assess your actual condition. This may also confirm your compliance with your physician’s management. Intestinal Bypass, also known as jejunoileal bypass is a surgical procedure that was discovered as early as the 1950s and 1970s. This procedure is usually done to correct severe cases of obesity. The objective of the procedure is to create a resection or shorten the small intestine (jejunum and ileum) so as to prevent absorption of a portion of the digested food. These cases, however, needs meticulous management after the surgery because there are many possible complications such as severe nutritional cirrhosis, liver disease, serious electrolyte imbalance and loss of water can be prevented. There are less serious complications after an Intestinal Bypass which include intestinal flu, moderate to severe diarrhea, steatorrhea (fatty stool), small bowel obstruction, abdominal distention and lactose intolerance. There are also non-intestinal symptoms that are observed such as increased calcium oxalate calculi in the kidneys, high cholesterol gallstones, Vitamin A and B12 deficiency, osteoporosis, arthritis, protein depletion and acidosis.